Budapest, May 26 (MTI) – The European parliamentary elections have created a power balance in the opposition, which remaps politics, Benedek Javor, an MEP candidate for E-PM, said on Monday, the day after the election. A result of 7.2 percent for E-PM is a great success for a party formed only a year ago, Javor said. The opposition is now made up not only of one dominant party, but of political forces with similar social backing and this will change opposition politics, he insisted. “I believe that E-PM will be the flagship of renewal,” said Javor. 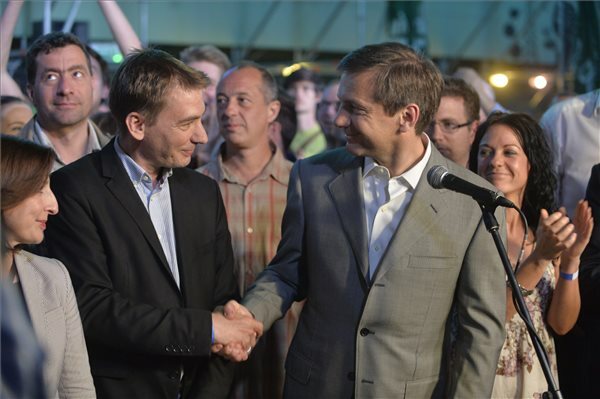 Javor said the results could mean that E-PM would run on its own in the local government elections in the autumn. The radical nationalist Jobbik party garnered 14.68 percent of the overall vote in Sunday’s election, as against 10.92 percent by the Socialists, 9.76 percent by DK, 7.22 percent by E-PM and 5.01 percent by LMP.